Born a necromancer… Sold by parents who wanted a normal child, Ardeur Lisle now hosts a demon and was trained to be a killer for hire. As an adult possessed, dreaming of escape and of a kind face from her childhood helps keep her sane. If she breaks free from her captors, what will this new world full of paranormal beings hold for her? Ridding herself of her demon parasite will be her first priority. A promise kept... Brody Callaghan never forgot the angelic blonde from his childhood. After years of military service, he swears to track down the face still haunting him from his youth. But Brody has a furry secret of his own; one unveiled with each full moon. 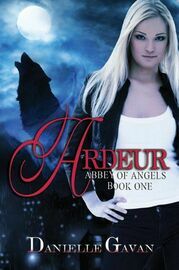 Will the two hold onto love with danger, deception, and an obsessed angel driving them apart?